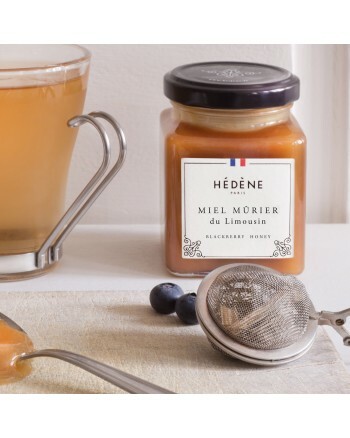 Hédène blackberry honey is rare and creamy, with long-lasting notes. It is also distinguished by warm and fine blackberry notes. Blackberry honey has a meltingly soft texture, like rosemary honey. It also has similarities with alder buckthorn honey as they both have a light red berries flavor. 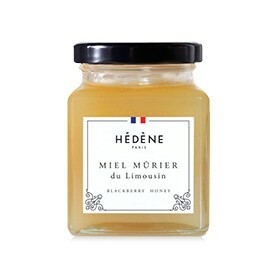 Harvested in France, in Limousin, blackberry honey is extremely rare and symbolizes the wilderness of nature. With a creamy texture, it is characterized by warm and sweet blackberry notes, which mix refinement and aromatic persistence. Its woody scents combined to a warm and powerful flavor make it enjoyable without moderation. Its subtle and long-lasting taste is incomparable. Blackberries can blossom from June to September. Harvest can start in June. 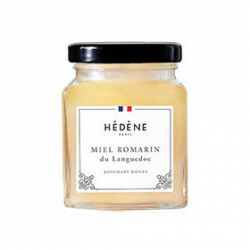 Hédène blackberry honey, as every Hédène honeys, is a great substitute for sugar in hot drinks, and particularly in teas. Among creamy honeys, it is the most appropriate for teas thanks to its sweetness and warm blackberry notes. Perfect for a well-deserved tea time break.